Cosmetic and Family Dental Care - World Class Smiles! Your Kenton area Dentist - Drs. 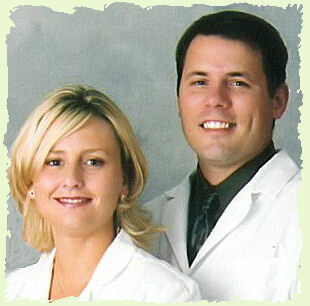 Matt & Tammi Schaeferle are proud to welcome dental patients throughout the entire Hardin County area. Dr. Tammi Schaeferle is excited to be returning to Hardin County after having graduated from Allen East High School in 1991. Our office is centrally located in Kenton, Ohio and easily accessible from Lima to Marion, Findlay to Bellefontaine, and everywhere in between. Thanks to everyone for making our open house a success. We truly are grateful for the warm welcome that we received from the community. Below is a picture at the ribbon cutting ceremony. Your smile is our top priority at our dental office. We are dedicated to providing you, with the personalized, gentle care that you deserve. Thank you for visiting our site. We hope you'll find it both useful and interesting. We believe in the power of your smile. We're committed to exceptional family and cosmetic dentistry services in a safe, comfortable environment that's suitable for your whole family. Drs. Matthew and Tammi Schaeferle, along with our highly trained staff, work to provide all patients with the highest quality of dental care services available. Patient satisfaction and comfort is our priority. We genuinely hope this site is helpful to you in learning more about our new dental practice, dental conditions, dental recommendations, dentists, staff, and more. 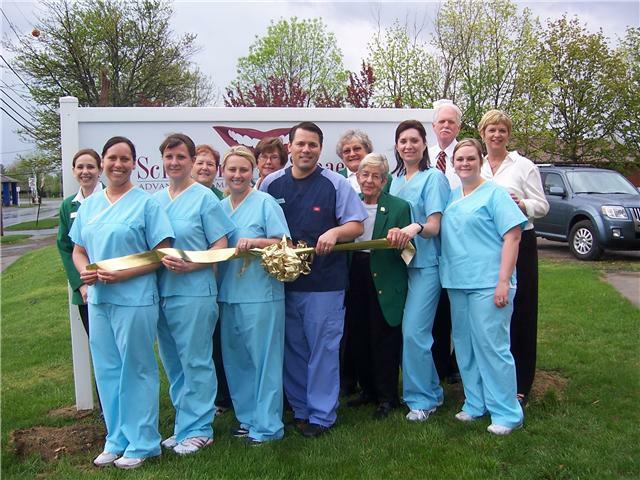 Schaeferle & Schaeferle your Kenton, OH dentist, led by Doctors Matthew and Tammi Schaeferle offer family dentistry and dental care to patients in Kenton, Lima, Marion, Findlay, Bellefontaine and more.